I love, love, love my job, but there is nothing quite like summer vacation!!!! 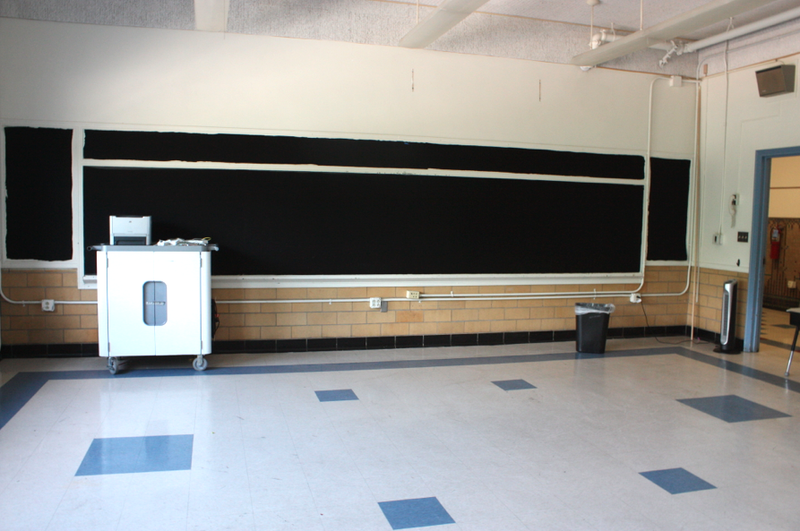 We just finished our last day of school yesterday and all I have now is a lovely clean slate (shown above). 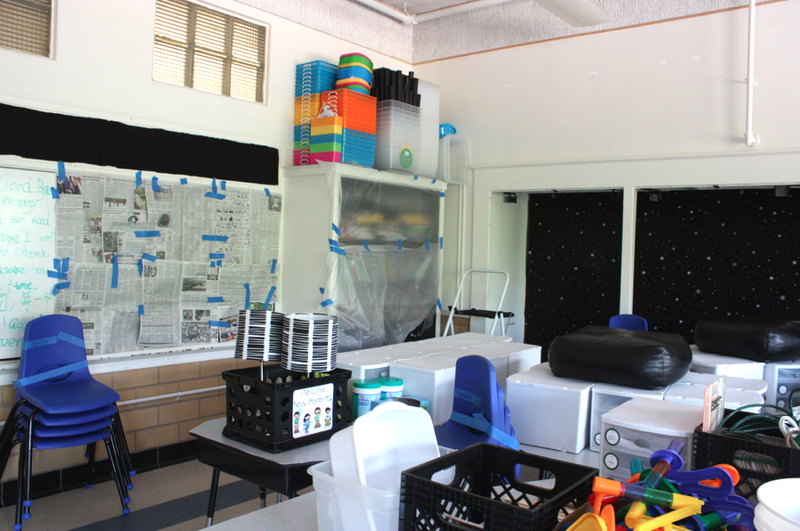 And a pretty organized (for me) packed-up classroom..
(there’s more in hiding, in a closet). I’m impressed my arms could stack the containers that high. I’m pretty tired today. But totally elated!! And ready to blog away! To celebrate, I’m throwing a little party. It’s based on a linky I had last year, my Classroom Shopping Linky Party. It was so much fun to see what everyone was buying, so I thought I would try it again! This time, I will be hosting a Summer Shopping party, one for each month of summer. The party for June will begin tomorrow evening. If you’d like to join in, just blog away about your latest teaching finds and swing by here to link up! I can’t wait to catch with everyone soon!! How I’ve missed teachingblogland! Sounds like fun Kristen! Congratulations on making it to summer! Happy summer to you, sweet friend!!!!! Yay summer! I think the containers are a universal teacher problem! Those baskets are hilarious. I just bought 6 MORE at Michael's yesterday. I think I have a problem. Your storage container problem picture made me laugh out loud!! I love it!!! 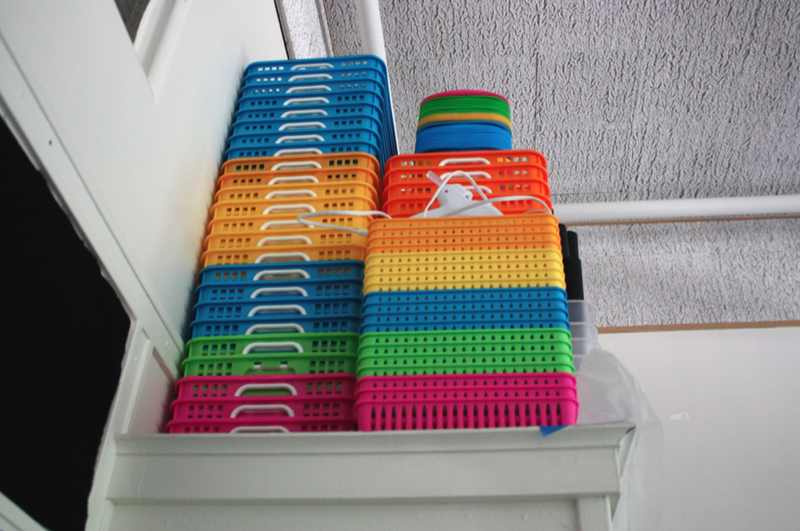 When I was packing up my old classroom and getting ready to move into my current one, I couldn't believe how many baskets/containers I had. You're not the only one with the container obsession! Your room looks so tidy! The linky party sounds great! YAY! Kristen is finally out of school! SO happy for your freedom! Oh gosh I'm so ready for this linky! My local teacher store had a sale this weekend and I couldn't resist!!! YAY for school being out!! Yay! I'm so excited about this linky party!! LOVE the linky idea. Also, I'm pretty sure we have the same compulsion to purchase brightly colored containers. WOW ! Someone who actually finished school after I did 🙂 Happy summer! !